This is not a sponsored post. 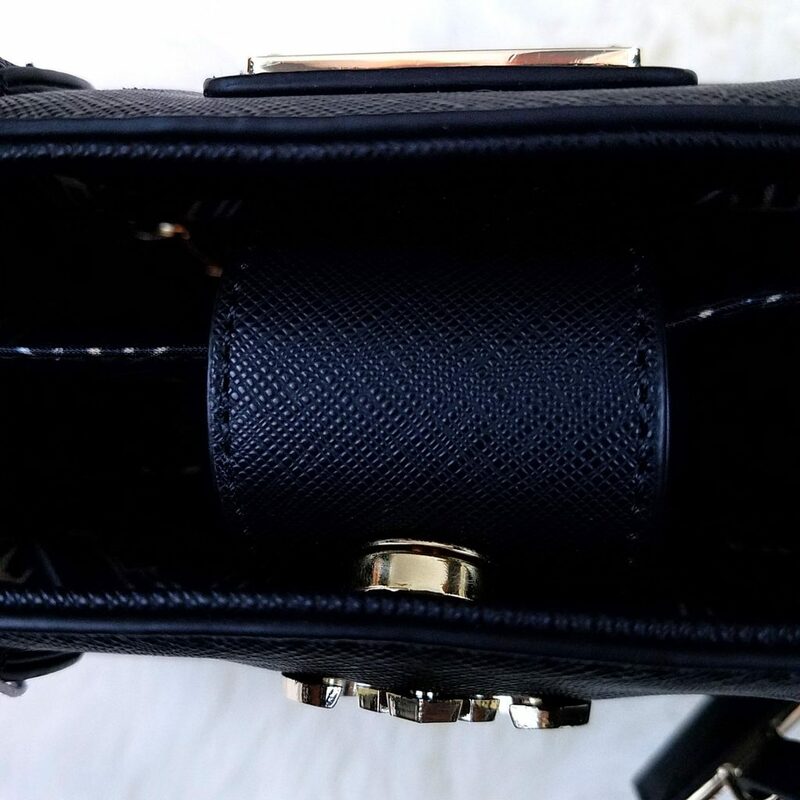 For my first ever review on this blog, today I’m featuring another first – my first handbag purchase! (Or maybe I just wanted to see how many times I could write “first” in one sentence…English majors, forgive me.) I’ve always bought whatever cheap, basic black handbag I could find at Ross or TJ Maxx to satisfy my utilitarian needs. 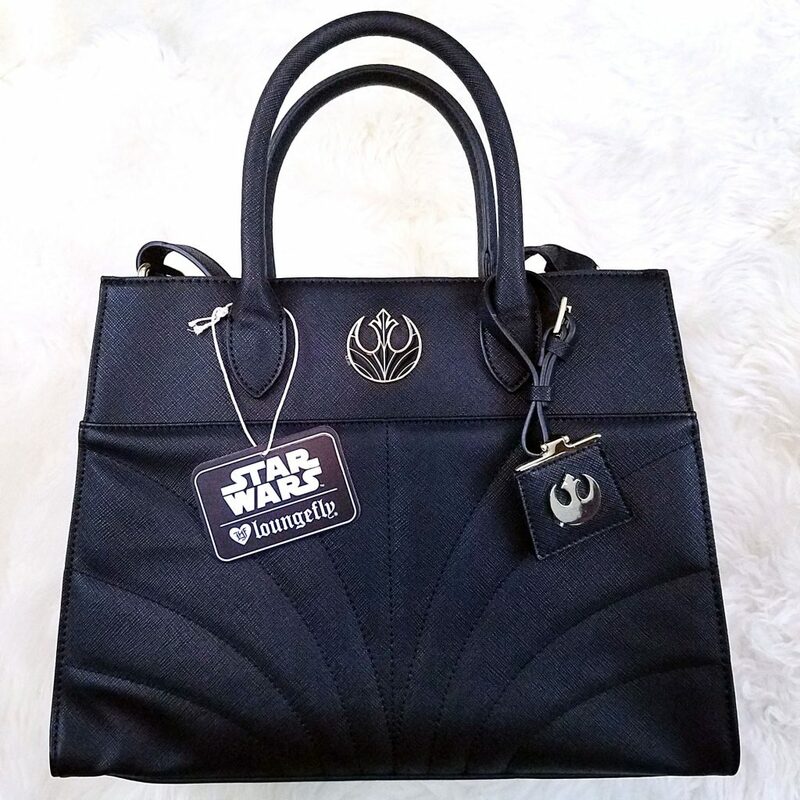 Despite being a fashionista cliche, I’ve never been into handbags. They’ve never caught my eye for anything past functional purpose. Now I’m a fashion cliche. NO REGRETS. Let’s take a closer look at this beauty, shall we? 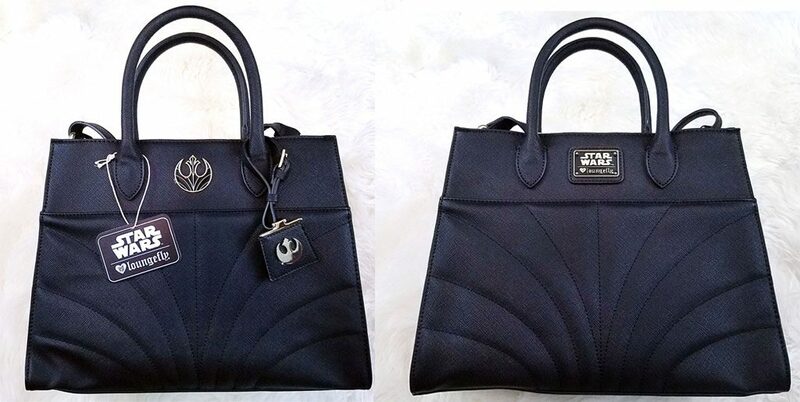 Behold Loungefly’s Star Wars Rebel Canto Bag from their recent The Last Jedi line. 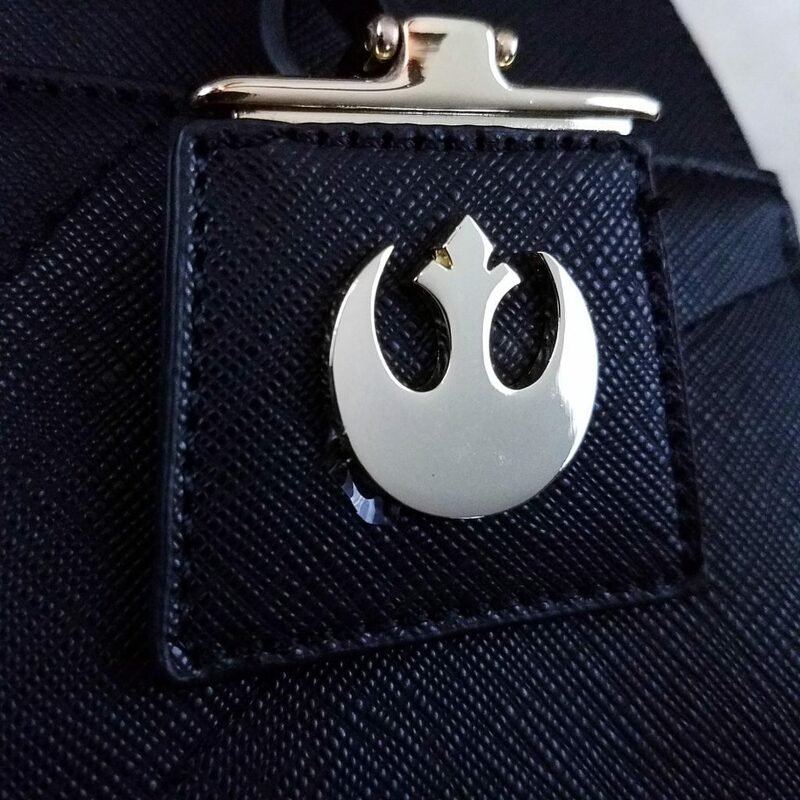 Made from saffiano faux leather, this subtle geek chic bag features a polished design of elegant black and silvery gold usually reserved for Imperial styles (whoever made the decision to use Rebel symbols instead, you’re a mad genius and this Rebel loves you for it. 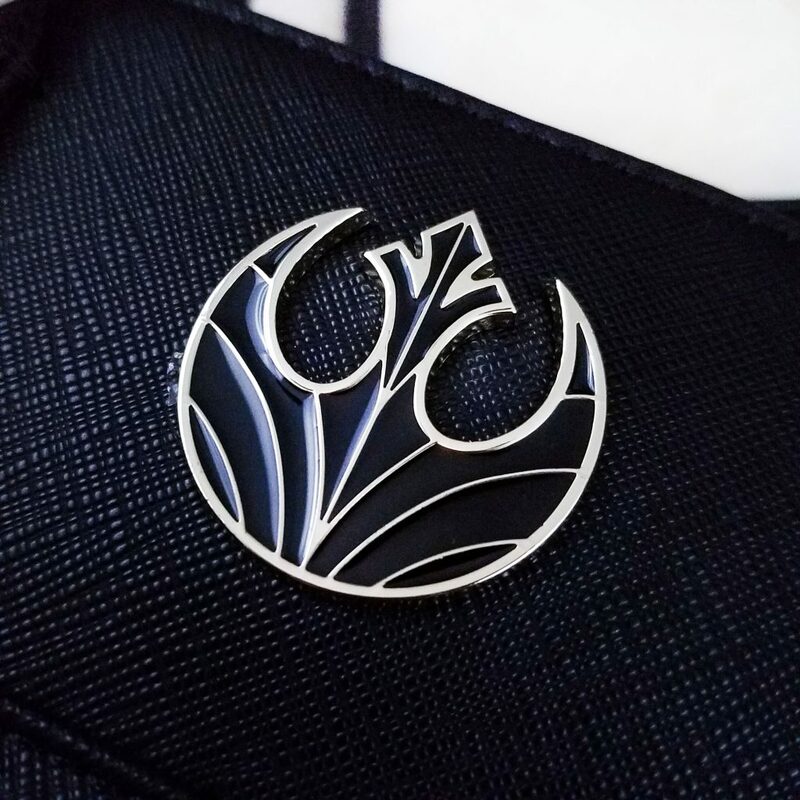 The Imperials and First Order can’t have all the sleek chic fun!). 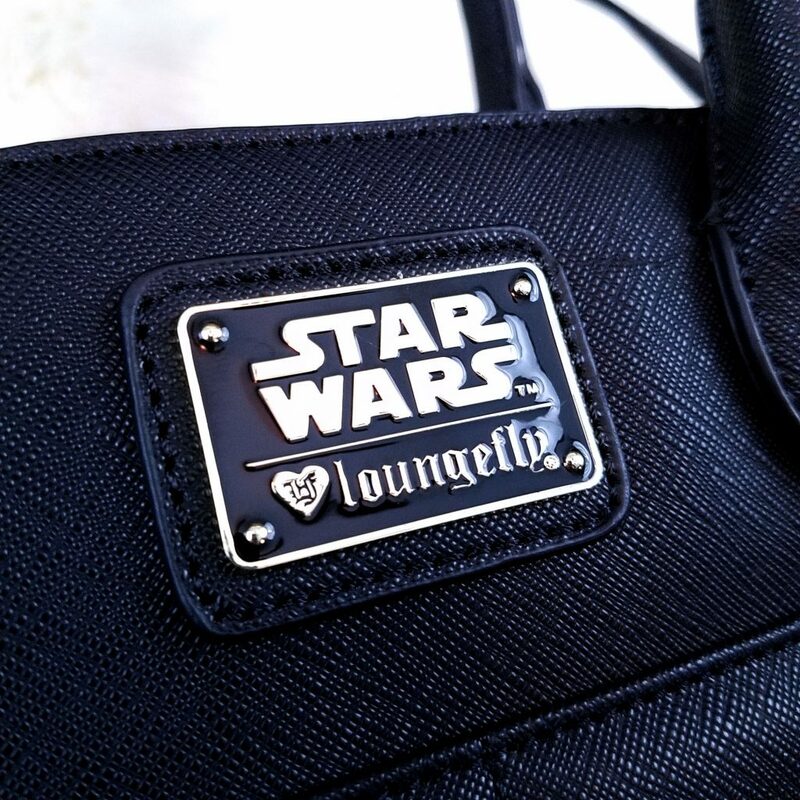 Both sides feature a symmetrical quilted pattern with Star Wars themed metal plaque. Having a neutral palette, this bag pairs well with just about any outfit and functions well for both the everyday and formal. 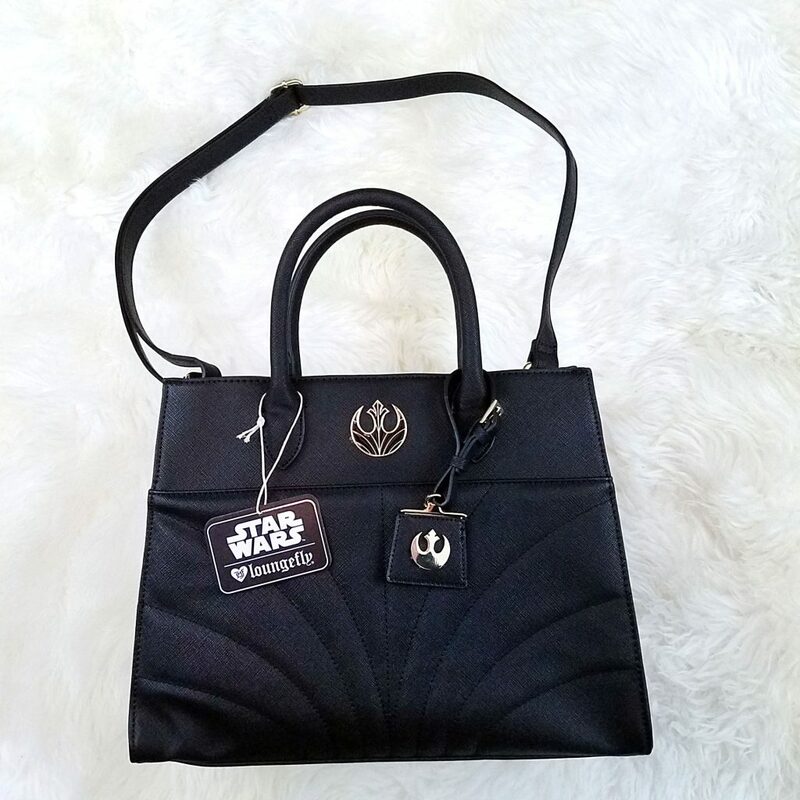 Fun Fact: The “Canto” in the title of this bag comes from the name of a new location in The Last Jedi called Canto Bight – a Star Wars version of Monte Carlo, with all the alien swank of a James Bond casino scene. (Being a lifelong lover all things spy, chic, and sci-fi, this has got me written All. Over. It. I can’t wait to see the scene!) Not all rebels are scruffy nerfherders, after all! I was pleased to see that this bag is a medium size, approximately 13 inches wide by 10 inches high by 5.75 inches deep. It feels not too small nor too big, but just right. It can be carried by the handles by hand or at the elbow. Thankfully, it also has a removeable shoulder strap (I’m definitely a shoulder strap bag kind of gal) so there are multiple ways to wear this bag to your personal comfort level. 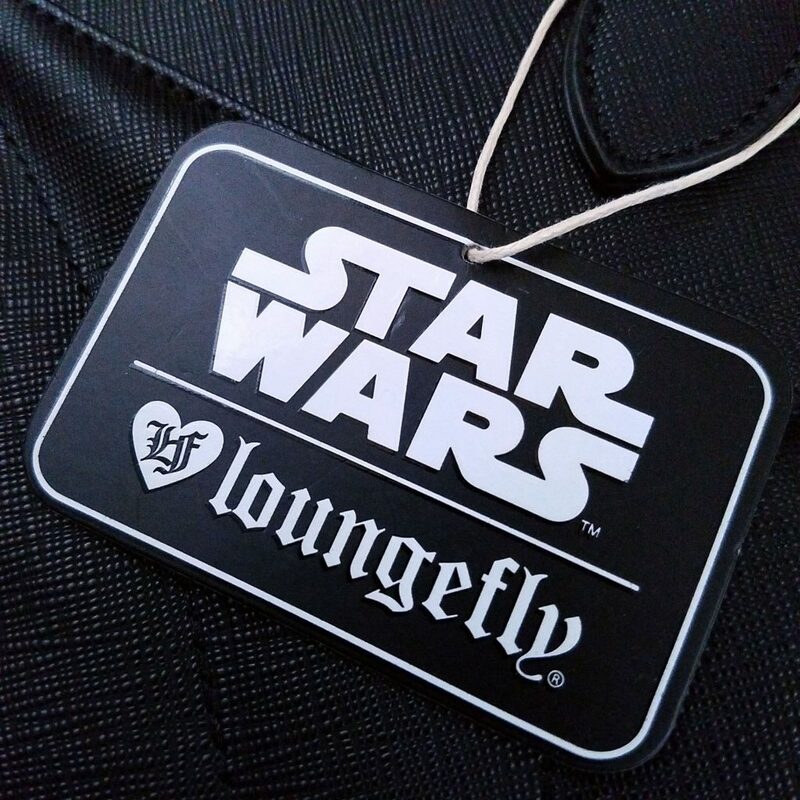 Fun Fact: The faux leather material this bag is made out of is known as “Saffiano” leather. The name refers to the crosshatch pattern that was pressed into the wax that coated the leather. 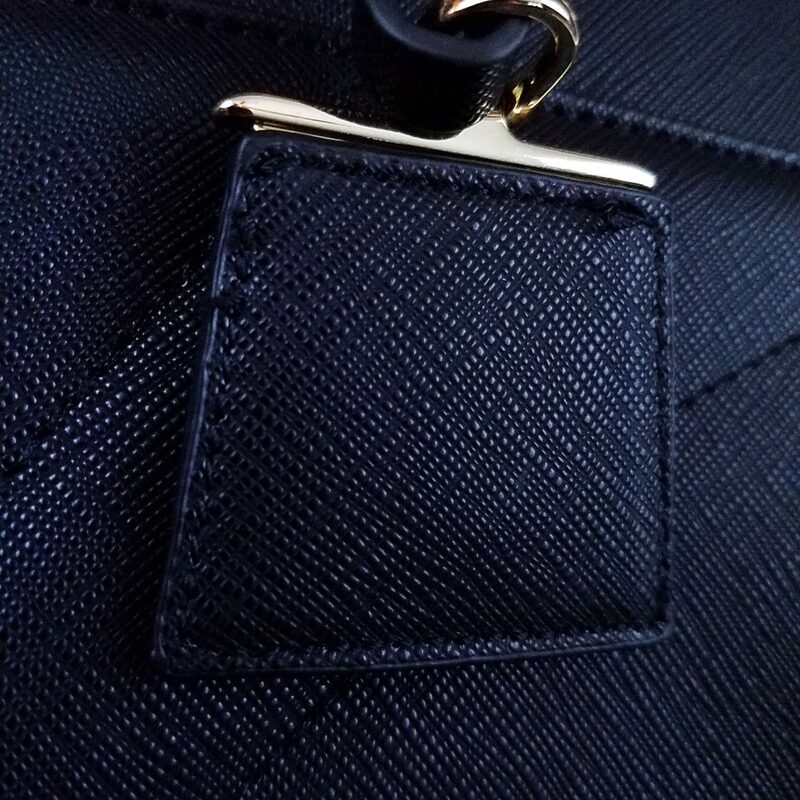 It originated from a particular tannery in Italy and was an exclusive patent of Prada, but has now spread to many different countries and design houses. So this faux leather version is wonderful nod to those luxury lines. My only gripe with this bag comes with the interior design. The top is an open one, with one half-loop tab that magnetically clicks into place. 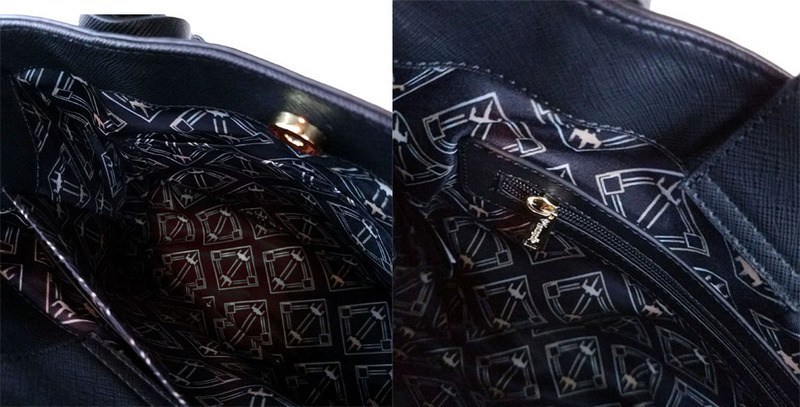 This neither protects from the elements or makes the bag easy to get into as the tab hangs in a rather awkward space. Granted, this may be because I’m not used to this sort of closure, but from my purely subjective standpoint, I would’ve rather had a simple zipper to open and close the entire top. 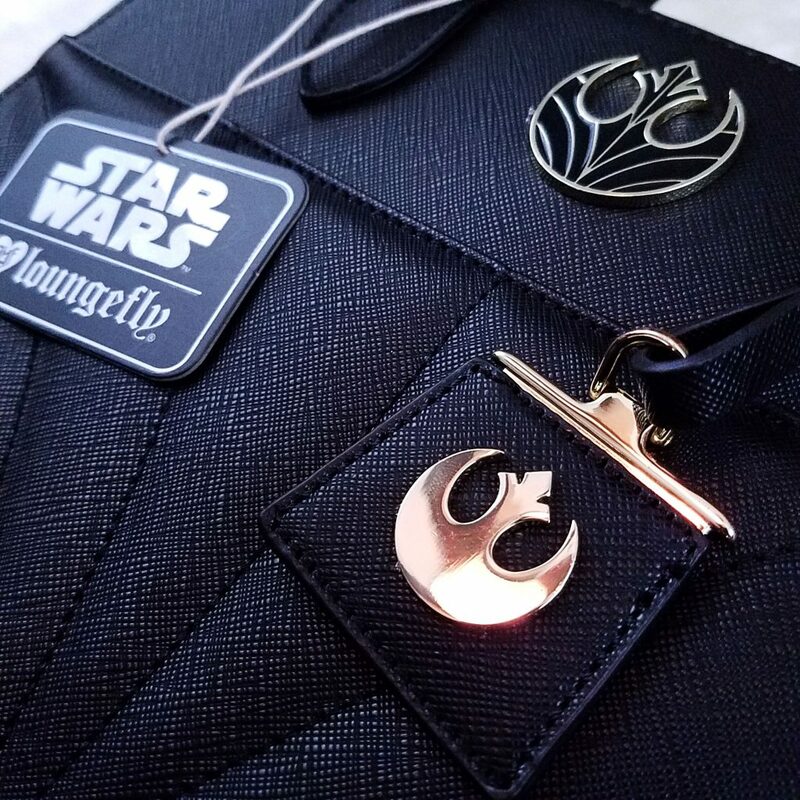 The interior is divided into two sections with pockets on either side with a beautiful art deco X-Wing pattern (Another bonus for me as the X-Wing Starfighter is my favourite sci-fi spacecraft). The front has a convenient open pocket to slide your phone into while the back has a zippered pocket for any valuables. I have not yet tested the limits of how much can be put into the purse, but it’s perfectly suited for my minimalistic needs (although it does fit an Instax Mini camera as I discovered on a recent photoshoot!). There’s also a matching wallet! Fun Fact: All these pictures were taken with my phone, the Samsung Galaxy S7 because I left my camera with a friend doing auditions. Oops…But I am really amazed with the quality! Phone cameras have come so far. Greetings programs! I'm Briana - artist, model, and avid costumer. Welcome to my little corner of the blogosphere. Copyright 2018. Briana Lamb. All rights reserved.